This Easter weekend we took the plunge and did something we have thought about for a while but never quite got around to – we joined the National Trust. 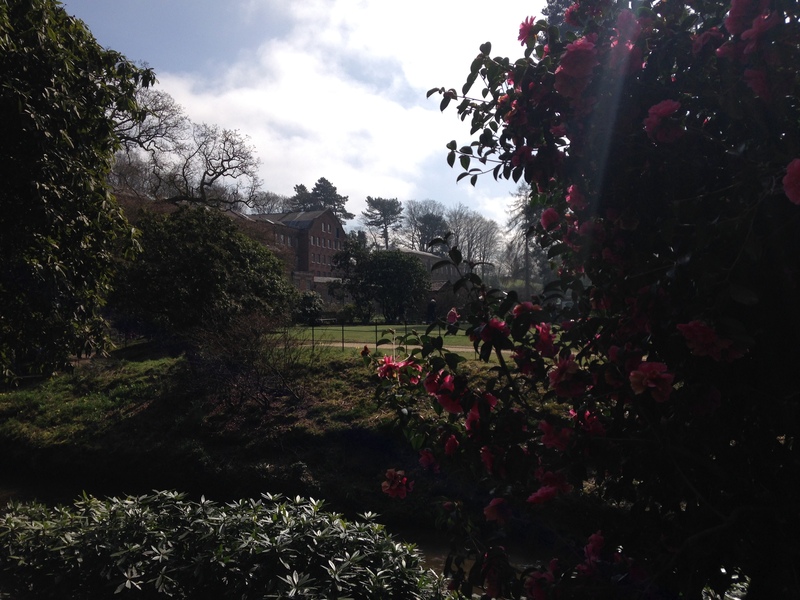 Our membership began at a visit to the very lovely Quarry Bank Mill – if you’ve not been there before I very much recommend that you do go, it was a fascinating old mill with the most gorgeous gardens. The Mill itself was brilliant, to be honest I’ve always thought mills were a bit on the dull side, and I’ve never really understood what the machinery you see in them does or did. 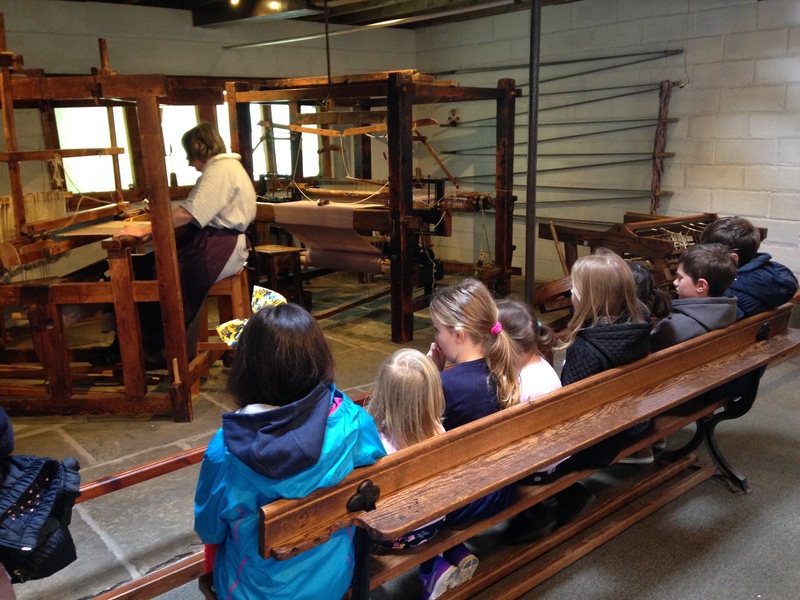 But on our way around Quarry Bank Mill we were lucky enough to join in with a talk by a lady in authentic costume, showing us how they made cotton from the days of the spinning wheel right through to the bigger looms such as the Spinning Jenny. We’ve always been a bit put off by tours and talks – when you’ve got three young children it just adds to the complication of having to keep them quiet and stop them running off etc. But actually our three girls (now 7, 4, and 3) were really captivated by the lady giving the talk and were happy to sit and watch her whole demonstration. We all came away from it with a much better understanding of the process of making cotton and the kind of work and machinery that was commonplace in those mills. 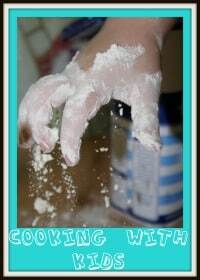 It really wasn’t boring or dull! As we live in an area that was once dominated by cotton mills it felt good to have a better understanding of what it was. And Lilly (7) was particularly interested in the fact that girls were usually expected to start working in the mills at the age of 9… she didn’t much fancy that I don’t think! Another particularly good part about Quarry Bank Mill was seeing the watermill itself. But before you actually see it, there are lots of interactive things to try out which really explain to children (and adults) about how waterwheels work in a way that is interesting and easy to understand. The one I was most impressed with was a recreation of how the water feeds into that particular mill and what happens when you open and shut the locks to either feed water through the wheel or not. The girls found that really interesting and when we went outside and saw the weir and the channels the water takes it all made sense because we had seen it inside the mill. 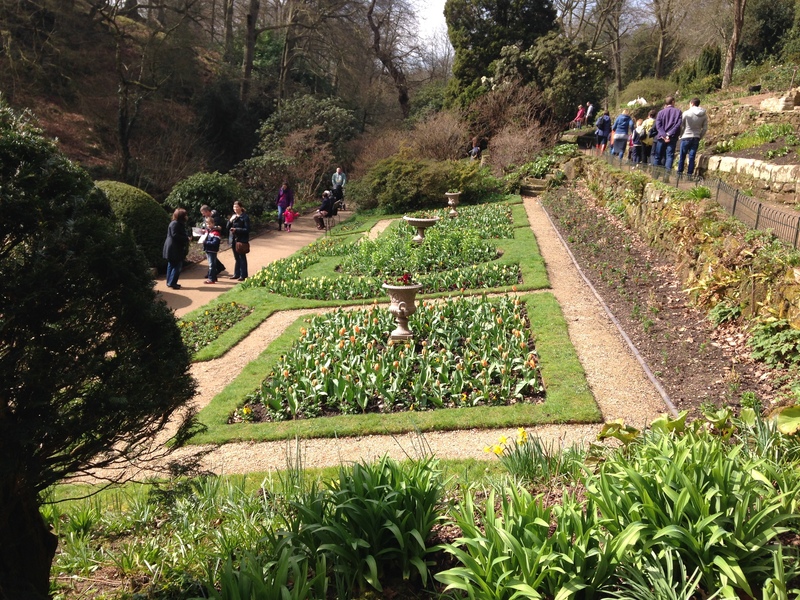 After a lovely picnic by the river, we were able to take part in a Cadbury’s Easter Egg Hunt round the lower gardens (also included for free now that we were members). The gardens are breathtakingly beautiful and because they are on a steep hill they are pretty unusual too. All in all we had a really great day and we are now all very excited about making the most of our National Trust membership with lots more lovely family days out like this one. We are often trying to think of ideas for family days out, and especially now with spring here and summer on the way it’s good to have lots of places to go all lined up inside the pages of our National Trust handbook! So, is it worth joining the National Trust? If you are looking for cheap family days out in the UK, for £8 a month I think the National Trust is a pretty good bargain!